After so many leaks and rumours, Samsung finally unveiled the long awaited Galaxy A7. The Galaxy A7 features a 5.5-inch 1080p sAMOLED display, 16GB of storage space and a microSD slot for cards up to 64GB , 2GB of RAM and 2600mAh battery. The device which will be coming in two versions, A single SIM which features a 32-bit Exynos 5430 processor and a the dual-SIM with 64-bit Snapdragon 615 octa-core processor. 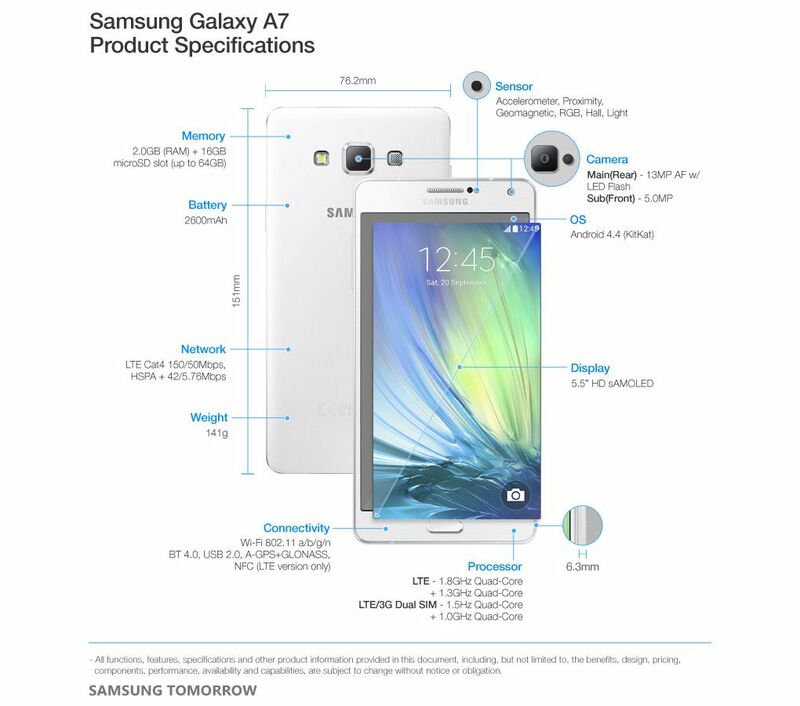 Samsung will be shipping the Galaxy A7 with Android 4.4 KitKat. and probably there will be an upgrade to 5.0 Lollipop. Previous article BHM App 2.0: The upgrade of Nigeria’s first mobile app for Public Relations. BHM App 2.0: The upgrade of Nigeria’s first mobile app for Public Relations.